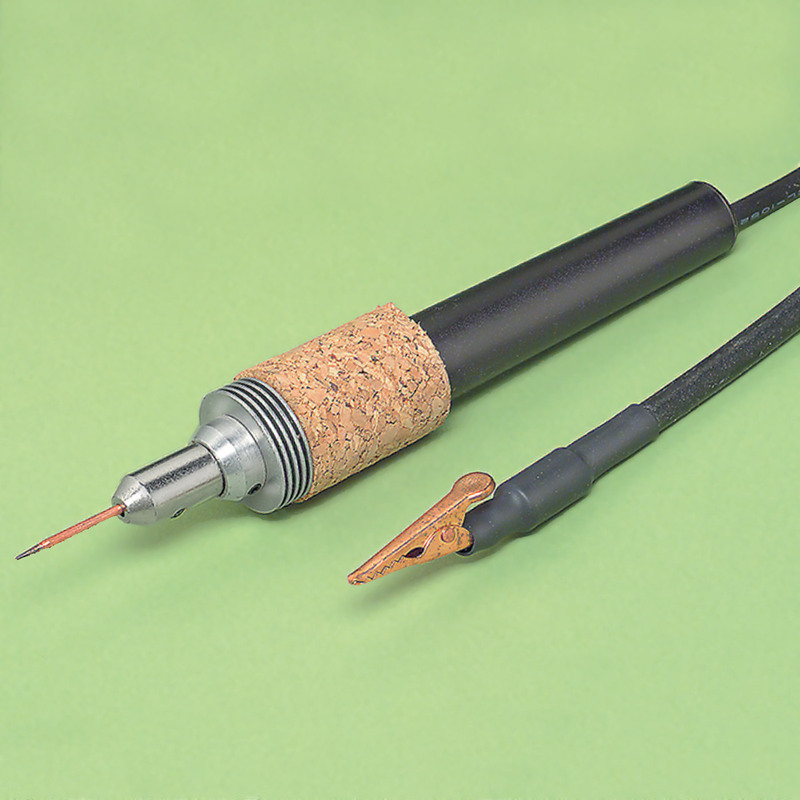 Single Electrode Handpiece with 48 inch cord plus ground lead with clip and 60 inch cord. Use for applications that are not suitable for tweezer or plier use. Clip is attached to one part and electrode is touched to the other.